October is Down Syndrome Awareness month. 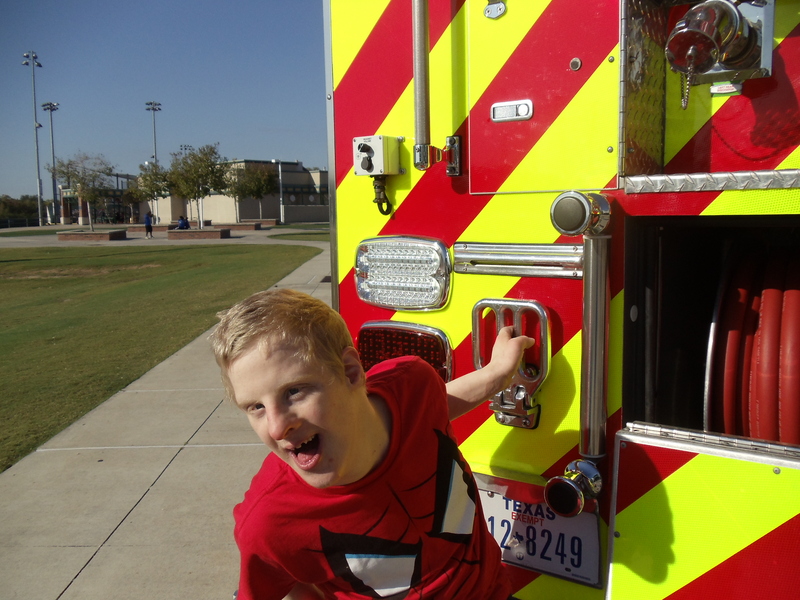 Many cities across the country celebrate this with a Buddy Walk.This year in Houston, because of Hurricane Harvey, the Down syndrome group we belong to canceled our walk. Although we were blessed with no hurricane damage, there were nine families from our group who were flooded out of their homes. The outpouring of love and gift cards that came their way was amazing. That is the truly wonderful thing about Down syndrome support groups. We are a family. When we get together our kids go from being “different” to just one of the gang. Our group has classes and events for infants all the way to my son’s group, the adults. Last year on National Down Syndrome Day (March 21 for Trisomy 21) we had a sock hop and my son won Sock King. That’s right. Pulled out his Captain America socks that had little capes on the back. Winner, winner chicken dinner. I created the character of Danny in my Pecan Bayou Series because people with Down syndrome are a big part of my life. I couldn’t imagine a world without them. Although I love Danny, my son is nothing like him. 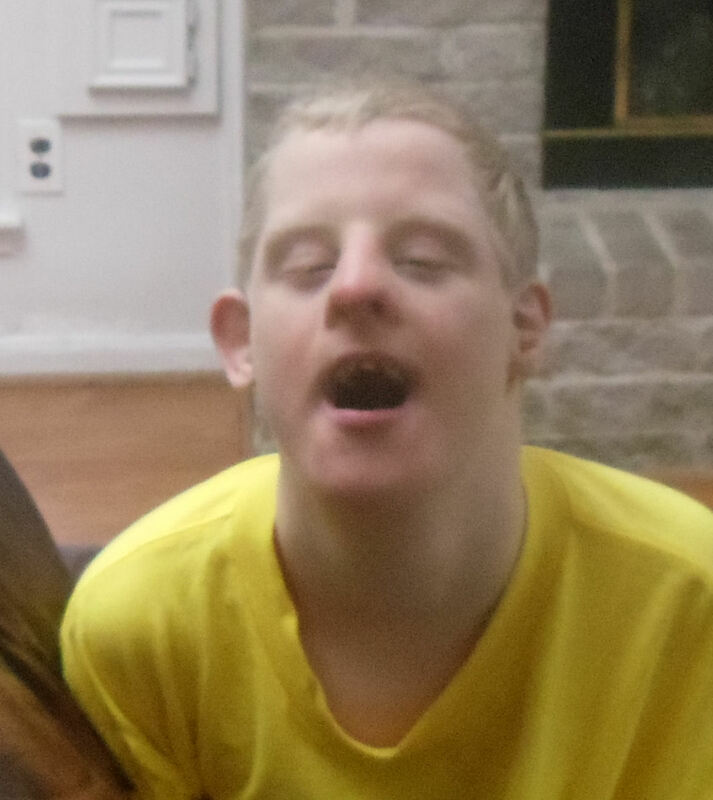 Danny is a composite of many Down syndrome people I have met over the years. Many times when we are out in public, my son gets his share of stares. He is nonverbal and yet very loud. He has to wear a helmet most of the time because of seizures. We are quite a sight. Even though being different can be unnerving to some people, we love it when they say hello or smile. We also understand why some folks shy away. It’s a lot to take in. Smiles and hugs to all my DS buddies out there. God bless. I am so happy to be a mother. I didn’t get the chance to start being a mother until I was thirty, and then I had three kids in six years. Stair steps. Two boys and a girl. When I write my mysteries, time and time again I find myself writing characters who are mothers and also fiercely competitive. Frame of reference: I do live in the state that yielded the cheerleader mom who tried to murder the competition’s mother. Who walks first? Who speaks first? Who reads first? Sadly, it goes on and on, all the way up to who graduates college first, gets married, gets a job. My kids were never first at this stuff. Having a son with Down Syndrome really turned the old comparison thing upside down for us, but that ended up being a blessing in our life. Time to get off the comparison train. Let it leave the station. Turn around and look at that child who is holding your hand, wanting lunch, grumpy and out-of-sorts. Believe it or not, that is what it’s all about. My character, Betsy went from being an overwhelmed single mom to the mother of three by the end of the Pecan Bayou Series. Even in book six, I kind of think she was still a little overwhelmed! She deals with the head of the PTA, pageant moms, boyscout battles, and learning to parent with her new husband, Leo. Still though, through all of it, even when her son cuts school to have a cigarette with the local bully, she keeps on peddling, working her way through every situation, never sure if she’s doing the right thing and always glad when yet another storm cloud passes. Motherhood is not for the faint of heart, but then again, hopefully it has a way of making you stronger. The best flowers are weeds from the front yard. The best gifts are made from construction paper and glue that has not quite dried. The best movies are the ones you take on your phone of your kid’s dance recital, band concert, and ball games. So Happy Mother’s Day to my mystery-solving Betsy Livingston and Happy Mother’s day to all my readers. Now go put your feet up and read a good book! Magic hats that is. Last night on the finale of Celebrity Apprentice it was down to Penn Jillette and Trace Adkins. I knew Trace’s charity was The Red Cross and living in a hurricane zone, I am always thankful for their help in my community, but I was tickled pink when it was revealed that Penn Gillette’s charity was Opportunity Village in Las Vegas. This is a place of employment for many intellectually disabled adults and the kind of place I dream of my son being a part of one day. People with disabilities want to work, take pride in their work and some of them even live for their work. When Penn showed the scarf that they made for him and then started tearing up, I have to admit I was crying right along with him. Okay, Trace won Celebrity Apprentice, but Penn you won my admiration and thanks for including people with disabilities in your world. Maybe I need to write a magician with a heart of gold into my next mystery…. Speaking of my next mystery, here’s the news you’ve been waiting for…my fourth book will be out this summer. Like me on Facebook, follow me on Twitter @ttrent_cozymys or follow this blog to see the cover reveal and find out when it will be available for purchase. 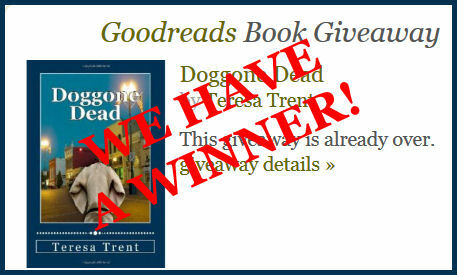 We have a winner for a free paperback copy of Doggone Dead in my Goodreads Giveaway! Julie from Minnesota, you will need to dig your way through the snow to your mailbox in the next week because your signed book is on the way! Okay, maybe I shouldn’t make the assumption that it is always snowing in Minnesota, the same way everyone in Texas doesn’t wear a cowboy hat. Also, thank you to the 259 people who entered. It continues with the life of Betsy, our helpful hints writer and the ever-growing cast of characters in Pecan Bayou, Texas. I really wanted to explore what would happen if she were to give bad advice in one of her columns. I originally wrote this book during NaNoWriMo and since writing it, have taken out a major plot element and reversed a character. Doing this greatly slows down my writing process, but hopefully it improves it as well. I can’t disclose too much, but I have been researching plenty about bees and looking at book cover designs with bees on them. My oldest son is terrified of bees because the two of us were caught in a swarm many years ago when he was a small child. So, he has made it pretty clear he doesn’t want to talk to me about this book even if he is a high-felootin literature major. April 2 is Autism Awareness Day! 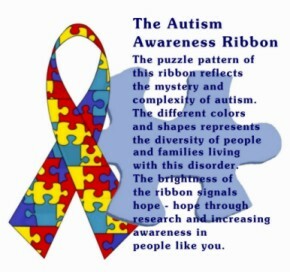 Take a minute to reflect on people you know with autism and their families. We’re an autism/Down Syndrome family and always appreciate the people who go out of their way to show acceptance, patience and kindness. Happy World Down Syndrome and much love goes out to all my friends with Down Syndrome and the people who love and care for them. For today I have a review of a very special book about a man named David. Here is the review I posted on Goodreads. I loved this book. How David met Sarah is a story about David, an adult with Down Syndrome. After reading just a little of it, I realized I wanted to read it to my son who also has Down Syndrome. It shows what the world is like for a person with developmental delays. We see David’s fears, his joys, the discrimination he endures and his understanding of life. I applaud Anne Kelleher for so beautifully telling David’s story. If you know an adult with Down Syndrome, please share this book with them and then check out the sequel, When David Was Surprised. It is wonderful to find fiction like this for the people we love. Like thousands of friends and family members of people with Down Syndrome, I’m participating in a Buddy Walk during the month of October, Down Syndrome Awareness Month. My son and I went for our walk this weekend with many other families and after some warm ups, dancing with cheerleaders and a snack, we set out for two exhausting laps around a ball field. His favorite part was not the walk, but the firetruck they had out for the kids and adults. He, of course, was ready to go in and drive the thing out of the park! How fast can this baby go? If you ever wonder why I always include the character of Danny in my books, it is because of this guy. I can’t imagine any part of my life without him…even my imaginary world. Down Syndrome Buddy walks raise funds for education, advocacy and fellowship for Down Syndrome people and their families. The really good ones have firetrucks.